I love gray colour. 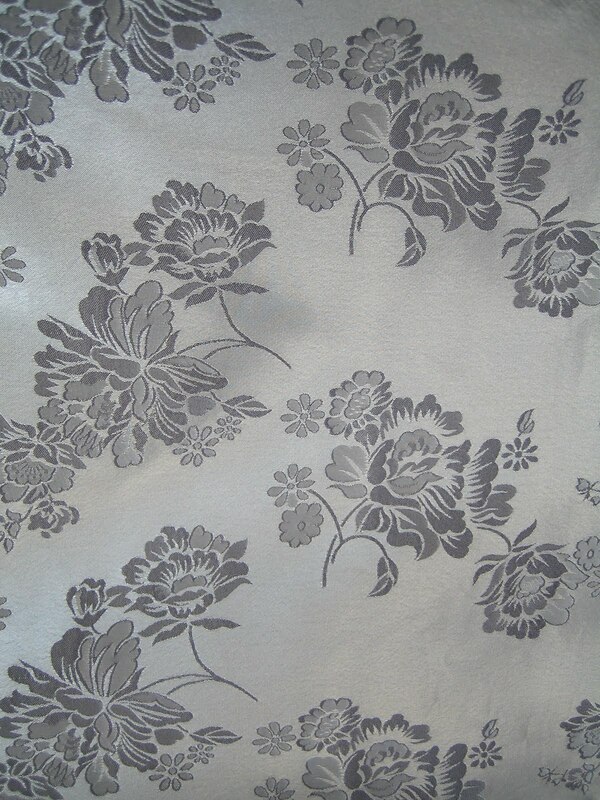 How could I resist myself from buying when I saw this lovely fabric ? 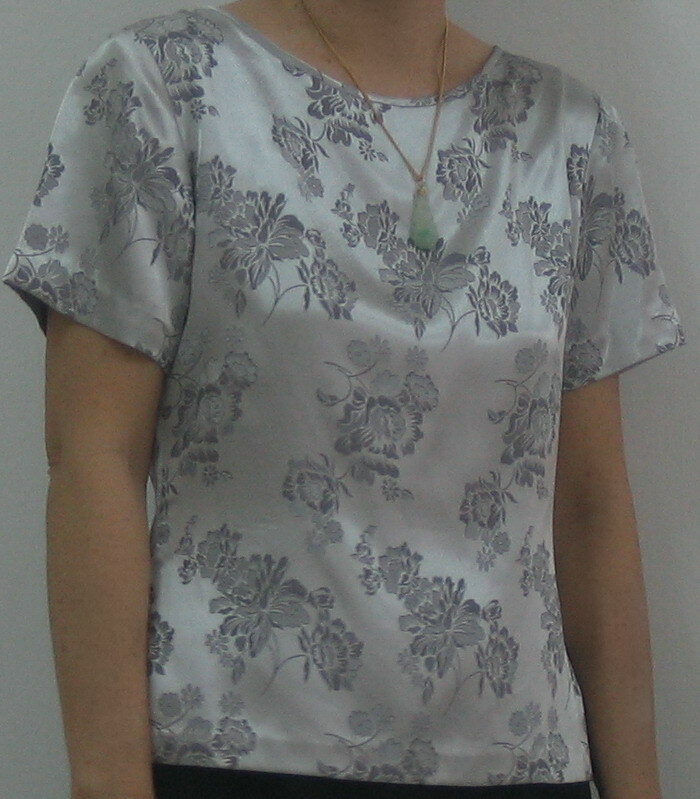 The sales lady told me it is Vietnam silk. I think it is not silk but should be a type of satin fabric. I made a very simple blouse from it . No zipper, no darts, just binding at the neckline. So quick and easy to make. Lazy me , right ? 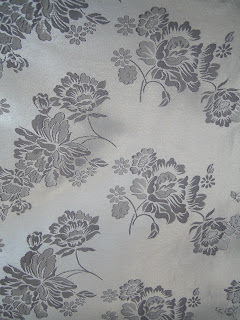 Look at the photos below, the surface of the fabric shines. That is the reason I think it is satin and not silk. 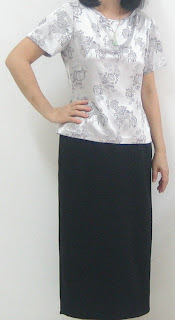 I matched this blouse with a black skirt I made a couple of years back. Simple yet I just love it . What do you think ? Thanks for visiting. Hope you have a fantastic weekend ! Pretty! You know how to test it? Burn a thread. If it smells like burnt hair it's silk. If it melts and smells like plastic or just simply burnt it's not silk. Sometimes there's silk in the weft but not in the warp though. Anyway, it's a nice material! Karin , thank you very much for your information.